Cute Basket Fillers! Right now this Mini Nail Polish &amp; Scented Remover Pads $4.99 (Retail $19.99). 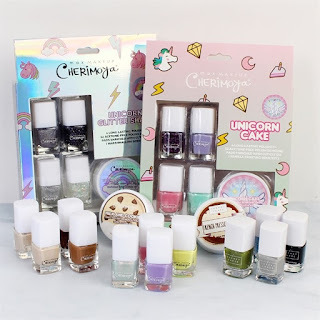 Get ready for many manicures with these cute and scented sets! Each includes long-lasting nail polishes in four popular shades. Acetone-free polish remover pads are infused with dessert fragrances that are made with cuticle oil to treat and condition. $2.99 for the first item and $0.99 for each additional item. US only. Seller usually ships within 3 business days. Ships no later than Wed, Feb 28.